Our wines owe their distinctive character to their different soils and the microclimatic conditions prevailing in the individual vineyards. 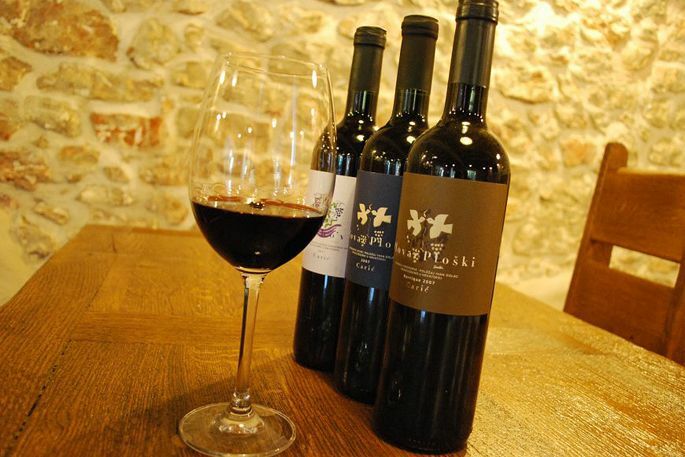 All of our vineyards are part of Vinogorje Hvar (specially designated winegrowing area). The Starigrad Ager vineyards We own a number of separate plots between Jelsa and Stari Grad. The Ager Pharensis (as it was called by the Romans), also known as the Chora Pharou (as it was called by the Greeks), the best-preserved example of a Greek land registry that has come down to us, is today a UNESCO World Heritage site. The original parcellisation has been preserved thanks to the centuries-long efforts of Hvar’s peasants, who guarded and restored the Greek dry walls. The original plots (900x180m), which were then further subdivided over the centuries, are still clearly visible from the air. We are proud that our work contributes to the preservation of this unique agrarian environment. This is where we mostly grow our white varieties, such as Bogdanjusa, Kuc, Marastina and Posip, which we use to produce our three whites: Bogdanjusa, Cesarica, and Caric White Table Wine. The Bonde vineyards (hillsides around Svirce) These are terraced vineyards delimited by dry walls, each covering no more than a very small area. The variety grown here is Plavac Mali. Time was these terraces were famous for their Opolo (Dalmatian jargon for pink wine), which accounted for the bulk of the Svirce area’s wine production. Nowadays, it is from these slopes that we source our Rose’ Marino, our red Jubo’v, as well as the Caric table wine. 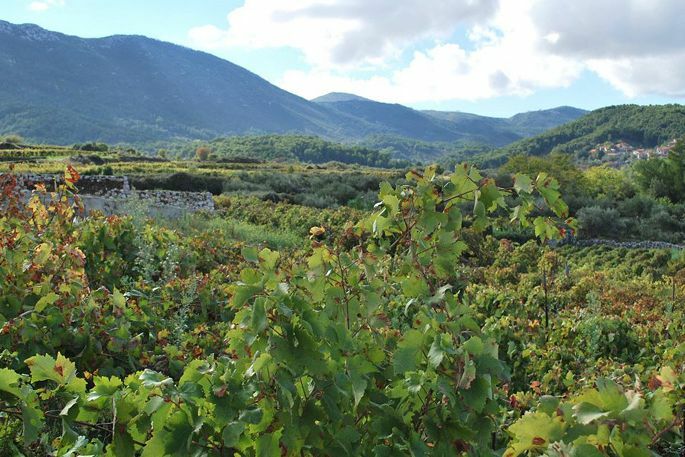 While the Plavac grown in this area yields fruit of exceptional quality, the terroir is markedly different from that on the island’s south flank. The lie of the land in the Bonde area makes the use of mechanization very difficult, but the soil drains well and the natural ventilation is good. As a result, the area poses fewer demands in terms of preventing grape and vine pests and diseases. The Plaze vineyards We have vineyards in several locations along the island’s south flank. The largest is in Zavala, and the steepest near the hamlet of Ivan Dolac in the Zakupica area. The high average amount of sun hours, the steep gradient, and the carbon-rich, very skeletal soil all account for our best-quality fruit, which we use for our flagship wines: Plavac Ploski and Plavac Ploski Barrique. 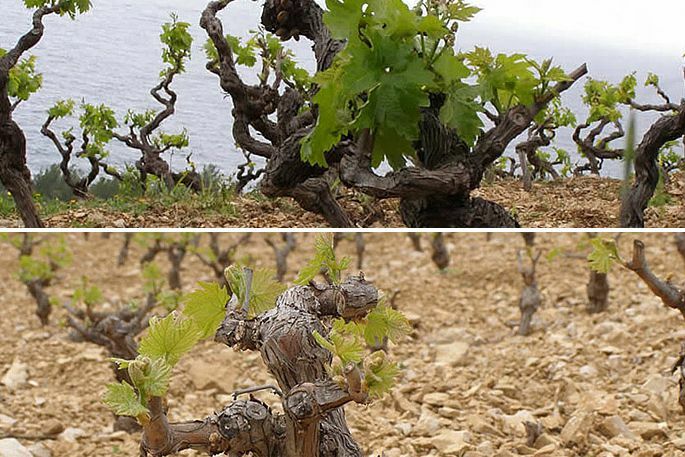 Work in these steep vineyards is manual. Nevertheless, because of their favourable exposure and the freely draining soil, it is very rare that any treatment, other than the use of sulphur, is called for. 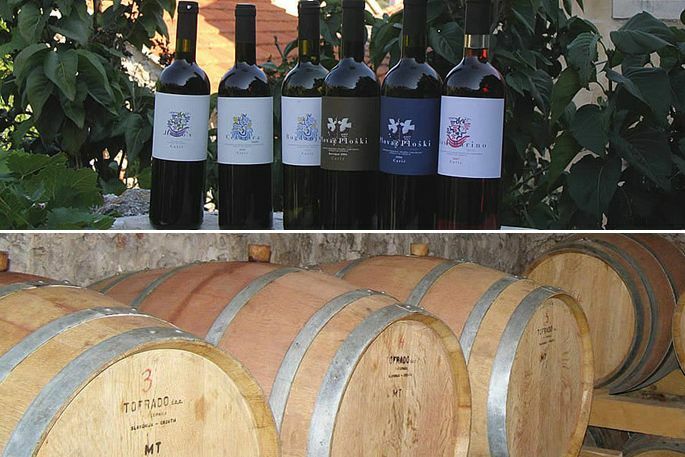 These wines are an expression of our work in the vineyard and in the cellar. Our range includes eight wines, so everyone can find something to delight in. 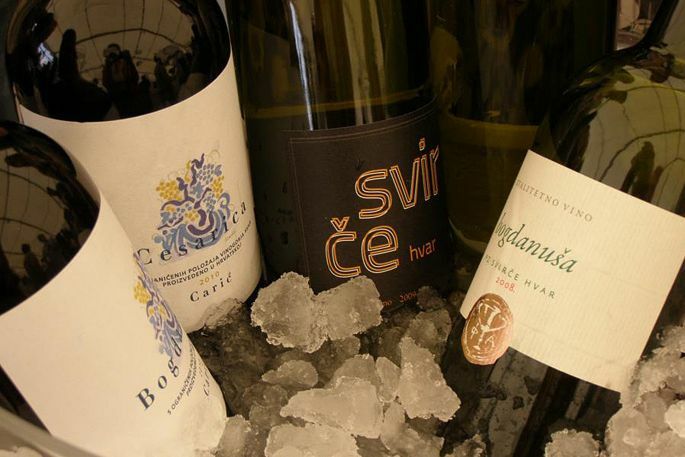 The wines range from everyday table wines to prestigious wines reserved for special occasions. Our family has been tending vineyards since time immemorial. However, it was not before Vino-Hvar d.o.o. 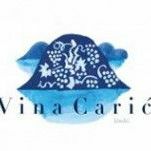 was established that we started producing our own wines: the Caric wines. Work in the vineyard is just as important to us as work in the winery. 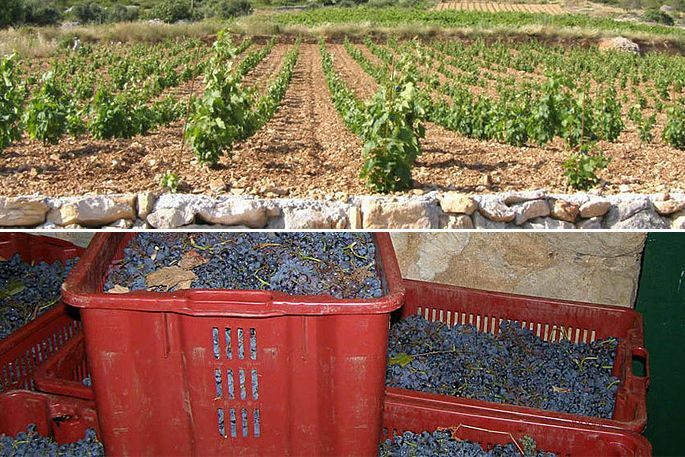 We tend about 5 ha of vineyards in a number of different areas across Vinogorje Hvar (a specially designated winegrowing area), while a minor amount of grapes is purchased from contracted growers. We grow a number of indigenous varieties, such as Plavac Mali, Bogdanjusa, Kuc, Marastina, Darnekusa and Posip. Each of our wines and their names tell a different story, from vineyard to winery.